When it comes to using social media, most people think it’s a no brainer. Sure, everyone understands the basic concepts of posting statuses, and “Liking” and “Sharing” content. However, in the real estate industry, many professionals are unaware of how to properly take advantage of Facebook to elevate their business, increase their list of clients, and promote their real estate app. 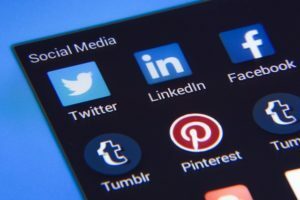 There are three tips that every real estate professional should adopt when it comes to Facebook and other social medias, as applicable. According to Inman.com, it’s important to “showcase your services and post content your clients will value.” Obviously, you’re going to want to inform customers of your particular real estate business, the services you provide (i.e., commercial, residential, both), and maybe even properties available for tour and open houses. We would like to add, including a link so that users can easily download your personal real estate app. As much as you want to talk about your real estate business and its services, you’ll also want to mention clients of yours who have recently purchased homes. According to Inman.com, “When you focus too much of your content on the successes of you or your business, you may come across as conceited and only caring about your success.” Showcasing your clients’ wins can actually serve as a review of your business successes, as well as how satisfied your clients are with the work you do/have done for them. It’s always important to capitalize on your clients’ happiness and satisfaction. One of the best ways to engage your audience on Facebook, or any social media platform, for that matter, is by responding to comments. Simply “Liking” a comment isn’t going to get you the desired results you’re looking for when using Facebook as a marketing tool for your real estate business. Remembering that Facebook has additional functionality that allows you to go beyond hitting the “Like” button is a surefire way to ensure your Facebook marketing efforts pay off. If you’re a real estate professional who is seriously looking to incorporate social media into your business and mobile app—we have you covered. Here at SnApp Real Estate, we are an experienced real estate mobile app development company that promises to build you high performance real estate mobile apps. Our apps will help you streamline your business and connect with clients easier, not to mention they are truly affordable. This entry was posted in app marketing real estate, mobile apps for real estate brokers, SnApp Real Estate and tagged app marketing real estate, mobile apps for real estate brokers, SnApp Real Estate. Bookmark the permalink.